/ Why Should I Choose Action Fence? Why Should I Choose Action Fence? The bottom line is that close to 4 decades of service years doesn’t happen by accident. 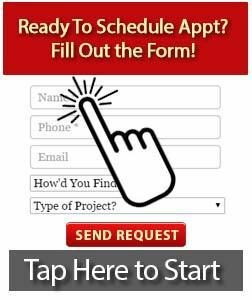 Are all genuine reasons you should make Action your choice for your upcoming fence project. Does Action Handle Large Commercial, Agricultural, or Industrial Fencing Jobs? Action has the man power and experience to take on ANY fence job. They not only look forward to the challenges large jobs bring, they pride themselves in meeting all expectations from contractors and business owners alike. Many of these customers are second and third time customers. As their operations expand, so does their need for high quality fence products, and they are there to answer that call. Action Fence regularly services Chattanooga TN, Soddy Daisy TN, Hixson TN, Red Bank TN, Signal Mountain TN, Lookout Mountain TN, East Brainerd TN, Ooltewah TN, Cleveland TN, Dunlap TN, Whitwell TN, Ringgold GA, Fort Oglethorpe GA, Rossville GA, Dalton GA, and Trenton GA plus the surrounding communities.